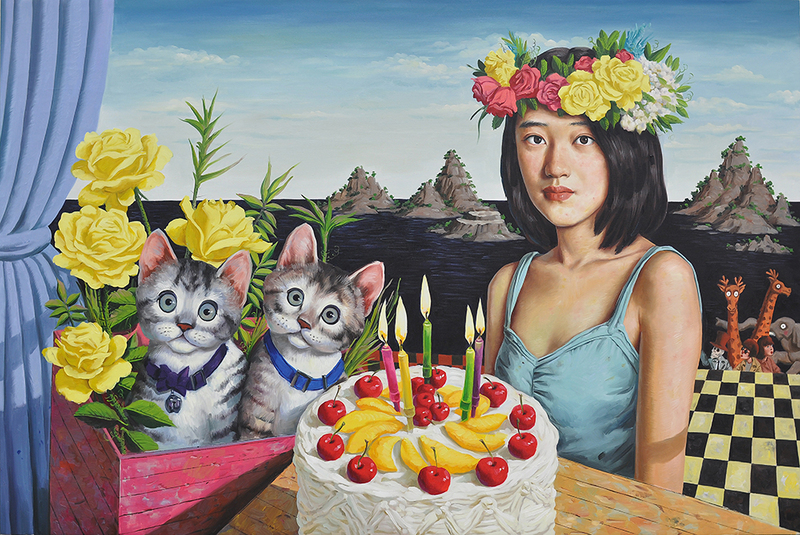 Dreamlike, whimsical and borderline disturbing, Zhao Ya Nan perfectly captures the angst and struggles of the eighties generation in modern China. Go beyond the surface to interpret his dreamscapes and delve into a world seen through eyes of wonder, as well as fear and aspirations. Look carefully and what you think is a potted plant in the backdrop, might actually be in the shape of a nuclear mushroom. 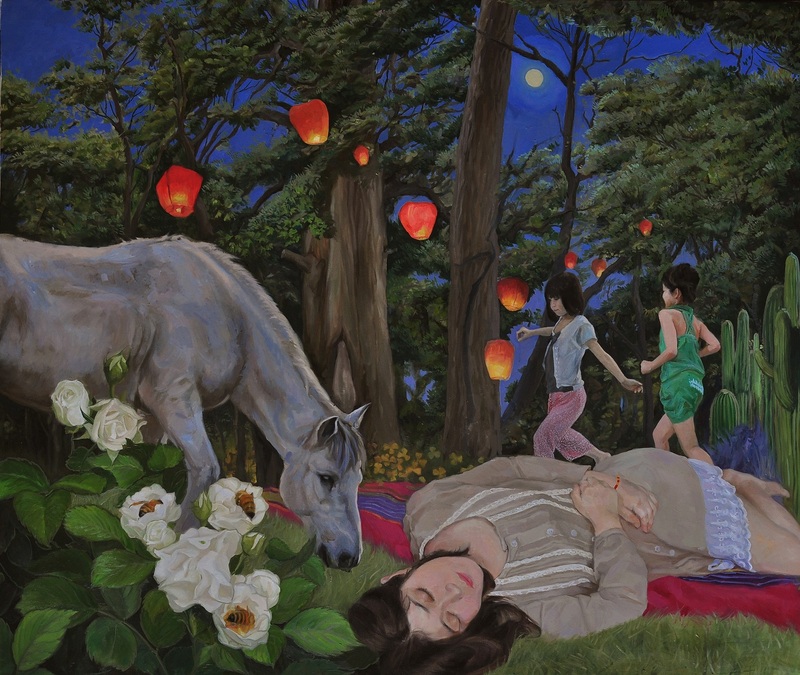 Zhao Ya Nan’s paintings are like a snapshot of dreams, capturing a moment in a dream sequence. The scene is quirky and fantastical; the supporting cast is a strange amalgamation of anthropomorphic animals, cartoonish characters in caricature poses. 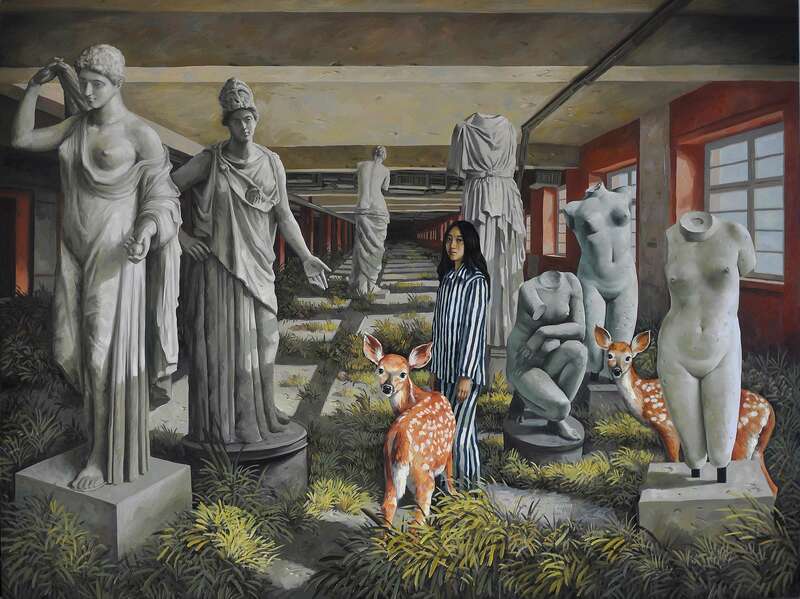 The central subject of the painting however is very real but seems to stand apart from the scene in the background, as if the person were frozen in a dream state and the background is the sequence that is transpiring. The subject of the painting – often a young girl – is frequently portrayed gazing at an object of interest somewhere outside the picture frame. Some of the dream characters however, seem to be looking directly at the viewer. Examine a painting carefully and you might notice a man in a gas mask, a pet dog or a goggle-eyed cat in a suit staring back at you. There is an underlying tension in the works created by the artist. A beautiful idyllic scene of a woman painting on a manicured lawn contrasts with the forlorn ruin of a propeller plane. In the distance, black clouds darken what is otherwise a sunny day. Who is that woman holding an umbrella, dressed just like the woman painting but with her back turned to the viewer? In another painting, a woman stands in a corner with an adorable cat, yet on closer inspection, the woman seems to stand apart from the scene and the cat seems to be much bigger proportionately than the person. A rusted, dilapidated locomotive dominates the scene. In the backdrop, a column rises into the air, but is that a pillar or a mushroom cloud? Dreams are not rational. 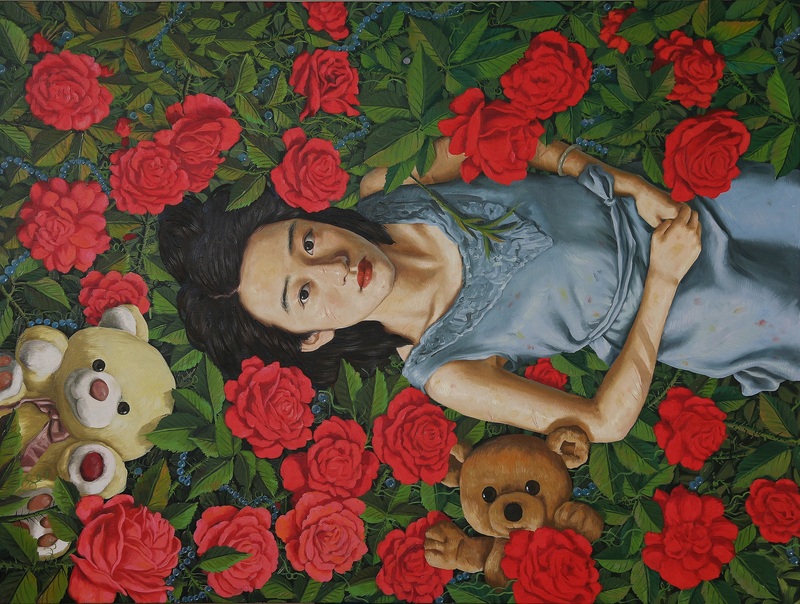 They are an unconscious expression of many different episodes and strands of thought, and there are many layers and questions about what is happening in Zhao Ya Nan’s painting. A modern Alice in a latter-day Wonderland, the artist takes us down a rabbit hole and challenges us to look at the world with a renewed sense of wonder and intrigue. 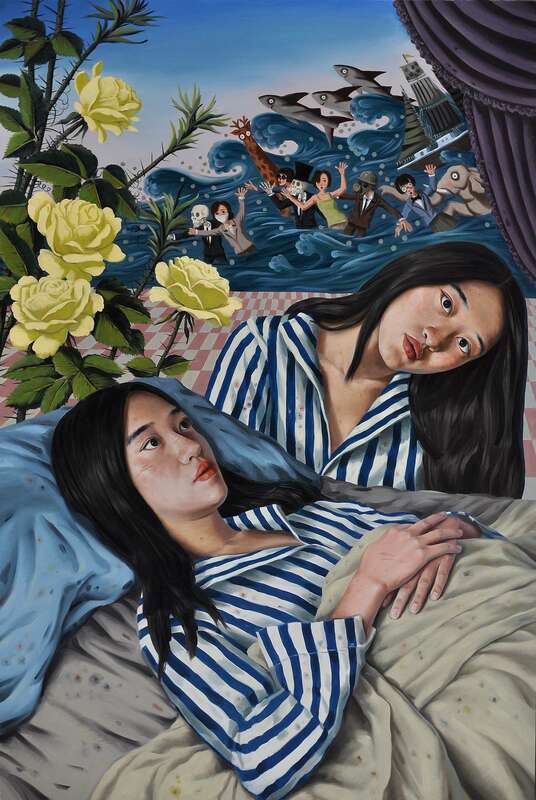 At its heart, the artist is seeking to express the hopes and aspirations, fears and anxieties of the post-80s generation growing up in modern China. This generation – also referred to as Generation Y - grew up in the tremendous economic boom of the last 20 years, and it is a generation characterized by its optimism for the future and newfound excitement for consumerism and entrepreneurship. 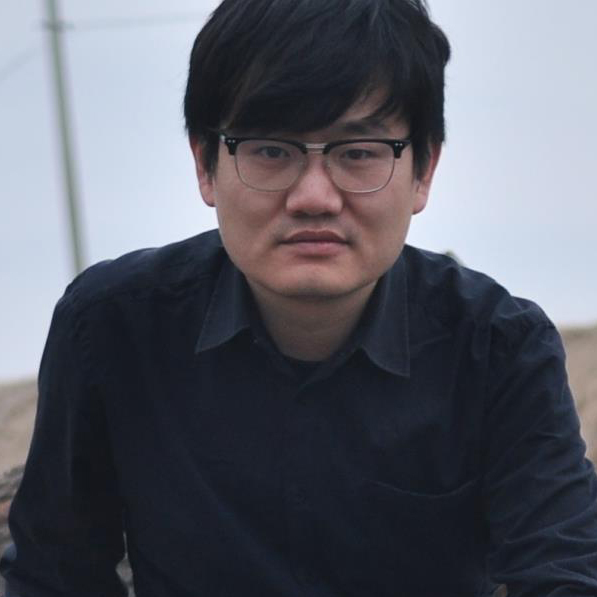 Yet, it is also an insecure generation, often at odds with the elder generation that lived through the Mao Zedong era and the cultural revolution. It is a generation that seeks to define individual identity amidst the rapidly changing world. As Lewis Carroll wrote, “Who in the world am I? Ah, that’s the great puzzle.” Like the proverbial Alice, we might wake up wondering if the dream might not have been real. 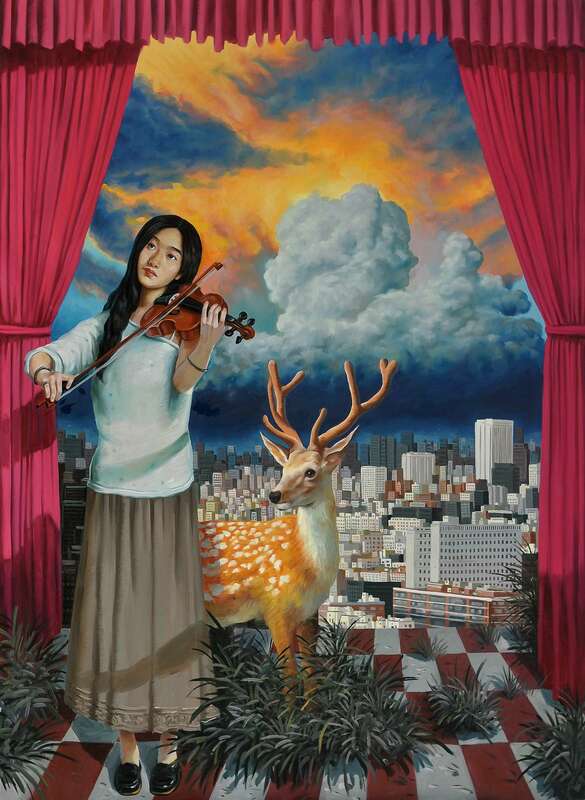 Zhao Ya Nan paints with oil on canvas, and his focus has been on improving his technique and spending more time on the details in his work. Considering that some of his pieces are two meters or more in size, this involves enormous dedication and energy to create rich visuals. 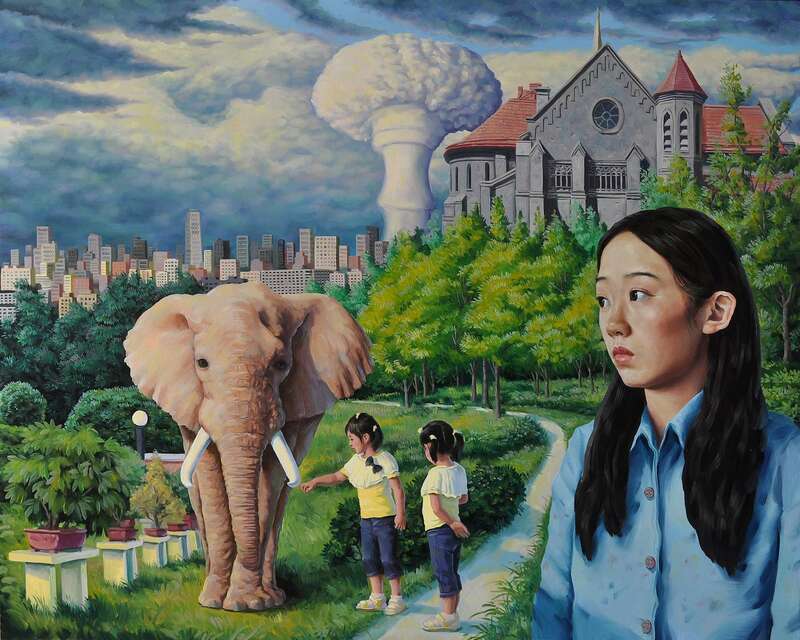 It is common to find Zhao Ya Nan working twelve hours straight on a canvas. The artist strives to create a vivid and self-contained universe on the canvas. There are often multiple threads and stories in the same painting and one of the keys to presenting this picture is a well-choreographed composition that takes seemingly disparate elements and fits them together on a canvas without seeming chaotic and random. The focus on detailing is an important part of how the artist creates an engaging world.